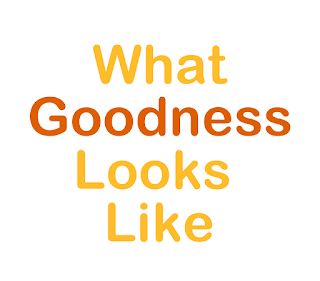 Goodness: A quality or act inspiring joy, comforting and putting at ease, rightness of heart. A helpful service rendered on behalf of others. Ever wondered what goodness looks, feels, tastes and smells like? A child once said it's like freshly baked bread. Perhaps she meant the aroma of browned and buttered bread pulled straight from the oven. Or when it's served up with a warm smile and that bubbly joy you feel when family gather to feast at the same table? Nothing comes close to that warm, lighthearted feeling you get when the moms are baking and cooking in the kitchen using recipes from their grandmother's mother. The guys are arguing sports stats in the living room and the kids are cackling and laughing while at play just outside the front door. You smile at it all. Put your feet up on the recliner and sip lemonade from a tall icy glass. A cool breeze blows through an open window and tickles your face. "This", you blithely sigh... "This is good." This is family. 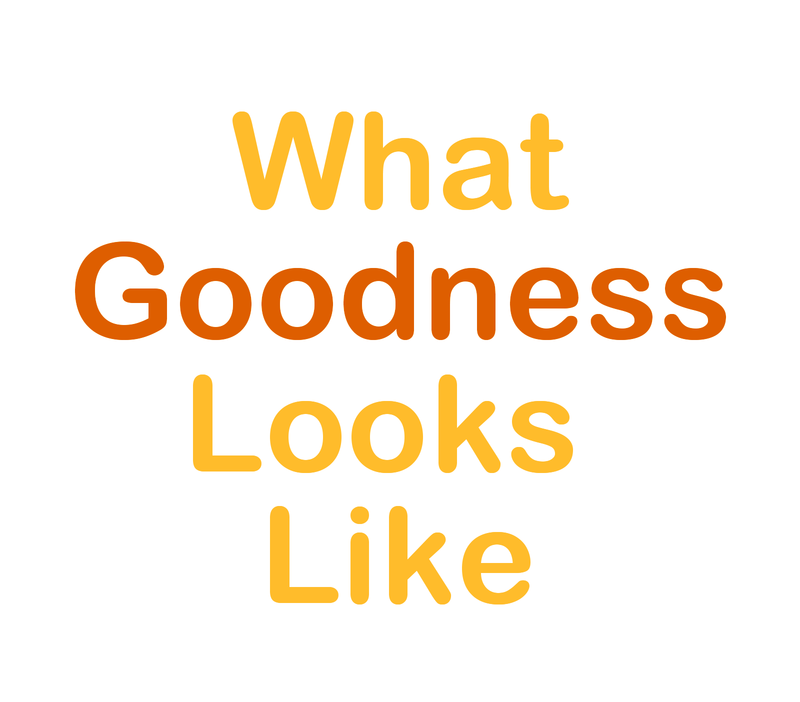 How much goodness is in your life? Your parents? Your children? There was a study conducted over a 40 year time span by various social science study groups. The study centered on whether giving makes the giver happier. The evidence was overwhelmingly conclusive. It does. There is a certain happiness in giving and a deeply abiding joy when the giver sees the good results that meaningful practical gifts have on the receiver over an extended period of time. In fact such giving can actually cure deep emotional ills and improve health and the wellbeing of both giver and receiver. Who knew? Somewhere along the way someone in our past decided to start what became an age old tradition. To impart goodness in the lives and hearts of those they loved most. Their motivation? An ancient promise... "There is more happiness in giving than in receiving." The past has passed. But we can learn a lot from it. There is the present, and with that the ability to deeply impact the future for good once again. This privilege falls on us. Why not make the most of it? The question now is how? Keep searching and you will find. Isn't it about time for a family reunion? Find inspiring family reunion planning instructions, event organizing checklists and fun, meaningful activity ideas go here.